A gullible and as Mitt Romney likes to say 'not very smart' President Obama fell for more lies and deceit spewing out of so called US intelligence agencies, the NSA, CIA and more than dozen others all conjuring another dodgy dossier out of cyber space on Russian hacking of the US election to get Trump elected so as to fit their own agenda, one of TOTAL SURVEILLANCE for the goal for TOTAL CONTROL, TOTALITARIAN CONTROL! Something that President Trump is clearly aware of given his own experience during the election campaign and clearly as the intelligence reports bring into question the legitimacy of his own Presidency which is why Trump keeps trying to change the subject, let's talk about anything but Russia hacking the DNC so as to help Trump win the election! So at a time when the worlds media is obsessed and diverted by Russian hacking, instead the trend towards War with China will be one of the key mega-trend drivers not just for 2017, or 2018, or even the whole of the Trump Presidency but for decades to come that will slowly become apparent to the usual suspects that populate the mainstream press several years from now. 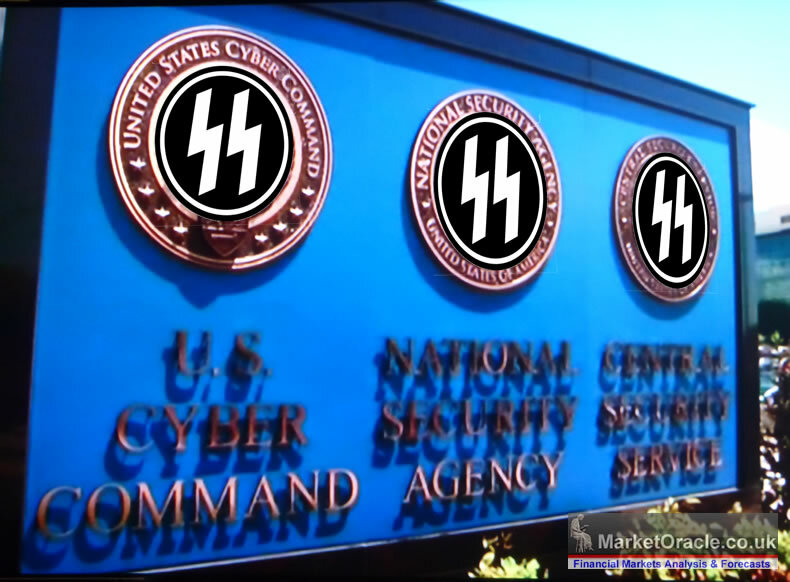 The four horsemen of the intelligence apocalypse, CIA, NSA, FBI and Cyber Command have been busy all week laying a thick smoke screen across the mainstream media as they regurgitated their propaganda to Congress, the Senate Armed Services Committee. And on Friday three of them (NSA,FBI and CIA) have been presenting their dodgy dossiers to President Elect Donald Trump in person, who I am sure will have been finding it very difficult to stomach their underlying message that he only won the election because of his ex-KGB friend in the Kremlin, Czar Putin hacking the DNC and beyond. So basically Trump thinks the intelligence agencies are stupid fools. Which could literally turn out to be a fatal mistake for Trump to make. Never underestimate the lengths to which the likes of the CIA will go to protect their power and reach. 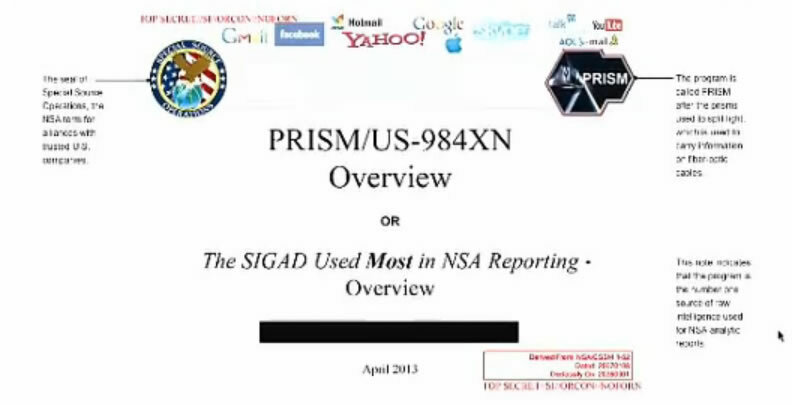 A reminder of exactly what the intelligence agencies crime syndicate tends to get upto as back in 2013 Edward Snowden blew wide open the degree to which the NSA surveils everything and everyone, they tried to defend themselves by stating that they only collected meta data rather than content which has remained the blanket propaganda response since to the NSA's full spectrum surveillance programs such as PRISM. Firstly, they LIED, it's obvious the NSA not only collected meta-data but everything, even back in 2013, for it is quite straightforward for US intelligence agencies to bypass any badly worded Congressional limits to just collating meta-data rather than content as well, which is to use a third party and so in comes Britain's GCHQ, where just one of its surveillance programs TEMPORA involves the UK directly tapping ALL communications across ALL of the 300 or so fibre optic cables that pass through the UK. This content is in totality then made available to the NSA and in fact all US intelligence agencies and virtually all US intelligence contractors (commercial operations) and thereby the NSA subverts Congressional limits for recording meta-data whilst at the same time having full total access to CONTENT as well via GCHQ and other national intelligence agencies such as of Canada and Australia. The PRISM system for the all prevailing global phone calls and internet access super surveillance state should not come as any surprise to most readers as new technologies are ALWAYS subverted by the state to spy on its citizens, and so citizens of the world have been given a glimpse into the current state of the surveillance state following leaks of the US operation PRISM which concerns ALL of your private phone calls, transactions, communications, accesses and interactions with virtually all of the major communications and web services from tek giants such as Verizon, AT&T, Google, Microsoft, Amazon, AOL, Yahoo and even Apple, who gave us the anti big brother sales propaganda against IBM near 30 years ago (1984), only now to be revealed that Apple too is part and parcel of the state security apparatus. It is increasingly becoming apparent that one of the primary reasons why the internet remains mostly FREE is because it is an excellent tool for not only spying on all aspects of ordinary citizens activities but also on their thought processes which is ultimately what intelligence agencies desire, to control the thought processes of individuals which they aim to seek through conditioning via tools such as the mainstream media, pseudo democracies and state education with further triggers reinforced through individual interactions with state agencies. The world wide web truly is a web spun by intelligence agencies to capture every aspect of ordinary peoples lives that they seem to share with one another regardless of the consequences to individuals for instance with dictatorships as was the case between documented dealings between MI5 and Gaddaffi and Mubarak's brutal secret police agencies resulting in torture and untold number of deaths. 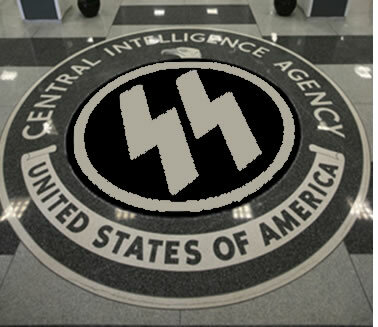 Meanwhile the CIA and most of the worlds intelligence agencies operate thousands of secret Gulag prisons containing many tens of thousands of political prisoners that the likes of past dictators such as Stalin would be proud of. The truth as I have often warned of many times during the years is that the intelligence agencies are arms of the elite, and that politicians and democracies are merely fronts for the elite to control as most of the population are taught in state schools to become docile debt slaves in the service of their elite masters. Which my articles have been focused at illuminating the consequences of and strategies for neutralising such as not partaking in the system of debt slavery and being aware of the inflation mega-trend consequences of policies aimed at funneling wealth to the elite, in that individuals can engineer their asset portfolios to be leveraged to inflation as money printing bubbles are repeatedly blown by central banks which is how the elite accumulate their wealth and through which they disenfranchise the mass of the population into owning nothing i.e. people with mortgages own nothing! All mortgage holders are just glorified renters, where if you stop paying the mortgage (rent) then you will be ejected from your home - See Stocks Stealth Bull Market 2013 and Beyond Ebook (FREE DOWNLOAD). Excerpt from Feb 2011 article. The dictators of the world can only look on in envy at the surveillance society that exists in Britain, where the movement and activities of Britains 60 million people are constantly tracked and recorded by over 5 million CCTV camera's, approx 15% of the worlds CCTV cameras, utilising facial and car number plate recognition. On top of which there is electronic surveillance of every phone call made and triangulation of mobile phone signals before we even start to introduce personal data generated by internet service providers and easily accessible data-bases on public sites such as Facebook, and state run bureaucracies that document every interaction with the state. Whilst the Egyptian protests triggered much noise from media whoring politicians and commentators in response to Egyptian Police State tactics such as cutting off of internet access and mobile phone communications between the demonstrators. However the Egyptian regime were mere amateurs when compared to the tactics that the British Police state has deployed against student demonstrators in London over several months, such as the kettling of protestors into an enclosed space for many hours, not allowing anyone to leave so as to break the will of protestors, whilst at the same time selective blocking of mobile communications in specific locations. The British police have forgotten that they exist to serve the people and not the elite, the current tactics of using video surveillance to identify, track and arrest protestors is akin to totalitarian China than where Britain used to be. The British police are failing to understand that lawful protest is a fundamental civil right of the people of Britain, that their kettling , provocation, incitement and surveillance tactics are seeking to subvert. The recent highly public case of under cover police infiltration and incitement operations on climate change activists is further evidence of a defacto police state in action where under cover police officers are inciting protesting groups to break the law. How many more hundreds of under cover police operatives are out there who's primary purpose is to incite a group or protesting crowd into a course of action that they would not have otherwise undertaken so that the police can generate evidence for prosecution. Therefore contrary to what the British people may assume as to where their personal freedoms stand, Britain is primed to become a police state at literally the flip of a switch, with far more intensive control and interference of the population than the likes of Putin's Russia or Mubarak's Egypt could ever hope to achieve. The people of Britain need to wake up and realise what is taking place and demand that freedom of speech is both protected and liberated so that the growth of the Police state can be kept in check and the likes of the Russian mafia cancer that is slowly spreading across and out of London can be exposed and neutralised, especially as we have yet to experience the impact of a flood of Chinese Oligarch $billions. I thought we could mark this November the 5th, a day that is sadly no longer remembered, by taking some time out of our daily lives to sit down and have a little chat. There are of course those who do not want us to speak. I suspect even now, orders are being shouted into telephones, and men with guns will soon be on their way. Why? Because while the truncheon may be used in lieu of conversation, words will always retain their power. Words offer the means to meaning, and for those who will listen, the enunciation of truth. And the truth is, there is something terribly wrong with this country, isn't there? Cruelty and injustice, intolerance and oppression. And where once you had the freedom to object, to think and speak as you saw fit, you now have censors and systems of surveillance coercing your conformity and soliciting your submission. How did this happen? Who's to blame? Well certainly there are those more responsible than others, and they will be held accountable, but again truth be told, if you're looking for the guilty, you need only look into a mirror. I know why you did it. I know you were afraid. Who wouldn't be? War, terror, disease. There were a myriad of problems which conspired to corrupt your reason and rob you of your common sense. Fear got the best of you, and in your panic you turned to the now high chancellor, Adam Sutler. He promised you order, he promised you peace, and all he demanded in return was your silent, obedient consent. Last night I sought to end that silence. Last night I destroyed the Old Bailey, to remind this country of what it has forgotten. 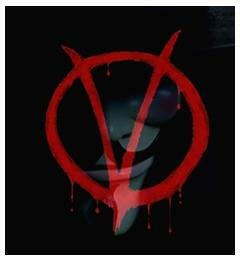 More than four hundred years ago a great citizen wished to embed the fifth of November forever in our memory. His hope was to remind the world that fairness, justice, and freedom are more than words, they are perspectives. So if you've seen nothing, if the crimes of this government remain unknown to you then I would suggest you allow the fifth of November to pass unmarked. But if you see what I see, if you feel as I feel, and if you would seek as I seek, then I ask you to stand beside me one year from tonight, outside the gates of Parliament, and together we shall give them a fifth of November that shall never, ever be forgot. So the peoples revolution happened during 2016! In Britain and the US, not on November the 5th but on November 8th and June 23rd. However as my article of over 3 years ago clearly illustrates the seeds for BrExit 2016 were sown many, many years ago! Fast forward today and we have a sceptical President Trump who pours scorn on the so called intelligence briefings from the CIA and NSA that amount to nothing more than propaganda, the game of mixing just enough truth with fiction so as to present a view in the intelligence agencies own self-interests, self-worth so as to justify further expansion of reach towards total control, towards totalitarian control over the lives of all citizens. Which the people of Britain are fully aware of for we in the UK live actually do live in a police state that just has the trappings of freedom. Tracked from cell tower to cell tower. Meta data that predicts were we will be and with whom through patterns of analysis of for instance our credit and debit card transactions. 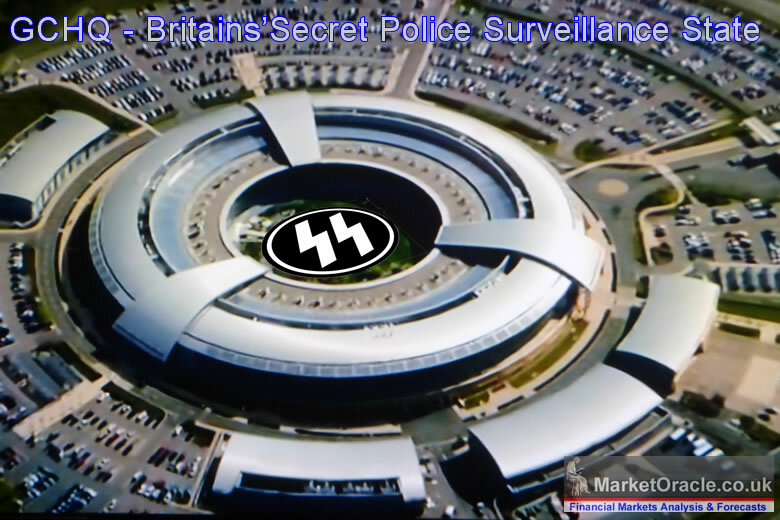 Which allows subversive agencies to target citizens for instance at their next scheduled Tesco supermarket shop, making it relatively easy to engineer state sponsored subversive traps towards neutralising a target who is acting against the interests of the intelligence agency. America is on the same path towards becoming a Police state and what's worse is America's love affair with guns, so a target citizen is infinitely more likely to be assassinated in the United States than the UK which luckily does not have the same history of assassinations of all of whom are deemed to be enemies of the establishment elite, that's potentially 99% of the people. Instead in the UK the name of the game is entrapment and control through state sponsored destruction of lives. What this means is that Trump fully understands the nature of the beast. A beast that is not that that distant from the day when it is the NSA and CIA who control the state in totality and not Congress through FEAR of what they know about everyone! For the truth is that everyone has something to hide, however the full spectrum surveillance coupled with AI systems for sifting through the data ensures that every target is neutralised, where the number of targets WILL grow exponentially to encompass everyone from cradle to grave. Control of what people can think are discuss due to the potential consequences from the total surveillance state. YES the Russians hack the US. YES China hacks the US. But what the CIA, NSA propagandists fail to mention is that both Russia and China are amateurs when compared to the United States surveillance and hacking programs THAT HACK AND SURVEILLE EVERYONE ON THE PLANET! So just as US global military power is dominant with both Russia and China boxed in, then so is US Cyber power several magnitudes greater than ALL other nations combined, especially since the intelligence agencies subvert domestic laws by for instance GCHQ hacking the US content for the NSA, which means the NSA has plausible deniability when asked, "do you hack and surveil US citizens?" The answer is always NO, when reality is that they subcontract content theft to GCHQ. And THEFT is what it amounts to, the intelligence agencies operate as a crime syndicate STEALING data, STEALING private information, and organised crime syndicate! b. so as to justify a further expansion of their powers to intrude on the lives of ordinary people. The bottom line is that the US is trending towards becoming a Police State where the citizens will FEAR the State, for what they know or could know. In fact in many respects we are already there for many people if not most understand that everything they type into for instance Google search is recorded and analysed. Which has the insidious effect of limiting freedom of thought. How can one think freely when one has to be cautious about what one searches for! The bottom line the criminal entities that go by the name of the NSA, CIA and dozens more intelligence agencies created by successive governments will not allow anyone, not even a President to question their ever expanding power, authority and reach and thus as I warned in my recent article that there is a real risk that the CIA has plans to assassinate President Donald Trump should be continue on his path of rejecting NSA and CIA authority. So the CIA over the next few years could easily put together a plan to utilise angry Mexican drug cartel members to undertake the dirty work of assassination whilst using a local patsy, an Mexican or Muslim immigrant angry at Trumps policy towards them personally or their family. Perhaps for being on the receiving end of Trumps new anti-migration regime, and thus be flagged on the CIA's PRISM radar as potential patsy's. And then there is the threat from within, Trumps own supporters for if Trump in their view betrays them by backtracking on the many outlandish promises Trump has made to America's right wing during the election campaign, then he may find himself on the receiving end of their wrath. However, in my opinion it is more probable that a CIA assassination plot would manifest itself as one of 'natural causes' that would give Trump the big TV ratings funeral he has always hoped for, to be followed by a more docile Vice President taking over. Though it would not be necessary for the CIA to engage in assassination plots to remove Trump from office, for the CIA has been busy exaggerating Donald Trumps ties to Czar Putin's regime and thus creating propaganda that suggests Donald Trump really IS a Manchurian candidate i.e. working for the Russians! Which could be enough to set in motion a sequence of events for Congress to remove Trump from office, especially given the huge number of skeletons in Trumps closet. Either way it does not look likely Trump will make it to the end of his Presidency, which will probably be terminated before the end of this third year on office. The Dow after a 2 week holiday break on Friday finally re-attempted to break above the stocks bull market mega-milestone of 20,000, by literally breathing fire on 20k for the whole of the trading session, trading to a high of 19,999.63 early in the session, retreating to close at 19,963. The Dow literally cannot get much closer than reaching 20k than 19,999.63 without actually touching it! A remarkable trading session taking the Dow within a cat's whisker of achieving 20k. Whilst those who say Dow 20k does not matter, clearly have missed the WHOLE bull run from Dow 6470 to Dow 20k! That is a 200% bull run from the bear market bottom. So yes, if you’re for instance a mainstream press journalist then 20k does not mean anything. But if you are one of the few who has actually ridden the bull from its outset (15 Mar 2009 - Stealth Bull Market Follows Stocks Bear Market Bottom at Dow 6,470) then it means a hell of a lot! As I elaborated in my recent video. It's literally a WAKE UP CALL! A time for hyperventilating, a time for going into maximum overdrive, and not a time for publishing lazy commentary in what calls itself the mainstream press, or worse the BlogosFear that had been betting against the bull market right upto Dow 20k! The Trump stock market rally that no one saw coming, after all it was taken as granted by the consensus and the blogosfear that Trump election win would be disastrous for stocks. However, instead of crashing downwards the stock market literally crashed upwards, right upto virtually touching 20k before taking its holiday pause. This has had a devastating impact on the perma-wrong crowd, the perma-bears who were already punch drunk from having been wrong or near 8 years! And finally started to throw in towel and TURN BULLISH AT THE TOP! Yes that's right many of those who have been consistently WRONG for the past 8 years have turned bullish!. However, no matter how tempted I am to do so, I do not see it as my job to ridicule fools, for the supply of fools is infinite so it will be just a waste of my time, instead I want to know what to do with my wealth going forward, so in addition to my recent Dow video my forthcoming in-depth analysis and detailed trend forecast that I aim to complete and post within the next couple of weeks will elaborate my expectations for 2017. Ensure you are subscribed to my always free newsletter and youtube channel for forthcoming analysis and detailed trend forecasts aimed at capitalising on Trumps Coming War on China amongst other mega-trend drivers and be very careful listening to the poop that passes for stock market commentary because I suspect a lot of investors are going to get very badly burned! VERY BADLY BURNED! This is definitely not the time for paying attention to the clueless mainstream financial press!